This gorgeous Florence rose hair comb is handmade in Britain by Gypsy Rose Vintage. 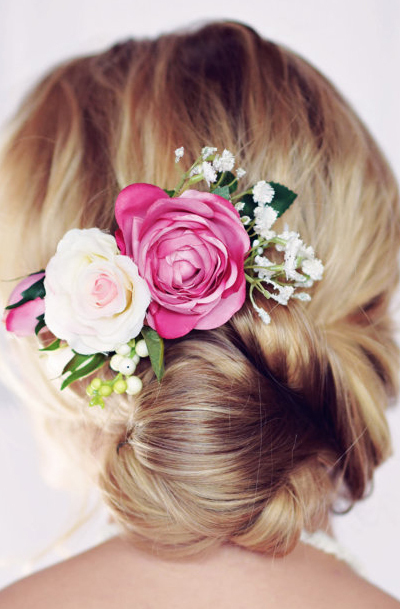 This hair comb is carefully hand-crafted using a mixture of high quality silk artificial flowers, featuring a pink and ivory rose, gypsophilia and berries backed onto a silver metal comb base. This unique piece is the perfect finishing touch for any bohemian bride or bridesmaid.